There are many phrases in the English language that have something to do with horses. In this episode, I talk about six of them and explain what they mean. I also introduce my new Facebook group for people who want to improve their business English. You can help someone to do something but you can’t force them to make the right decision or do what you know would be good for them. This means that you heard something from the original source or the person who has direct knowledge of it. This means that it’s not a rumour or speculation. This means that you take preventative action when it’s too late. This is not helpful because the thing that you are trying to avoid has already happened. This means that you should stop talking as if you were better or knew more than other people.. If you tell someone to hold their horses, it means that they should wait or not rush into something. If you eat like a horse, it means that you always eat a lot of food. Click here If you’d like to join my new Facebook group for people who want to improve their business English. 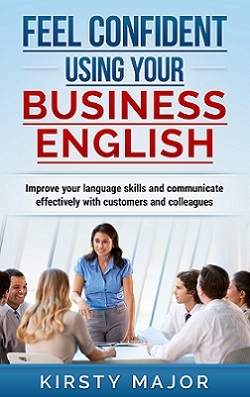 If you enjoy the podcast, you may also be interested in my book, “Feel confident using your business English”.